Have you ever let your mind wander on what makes you happy? On all your little unique happiness triggers. If you could easily access what makes you happy, don’t you feel it may help you shift your mood more quickly when things look grey? 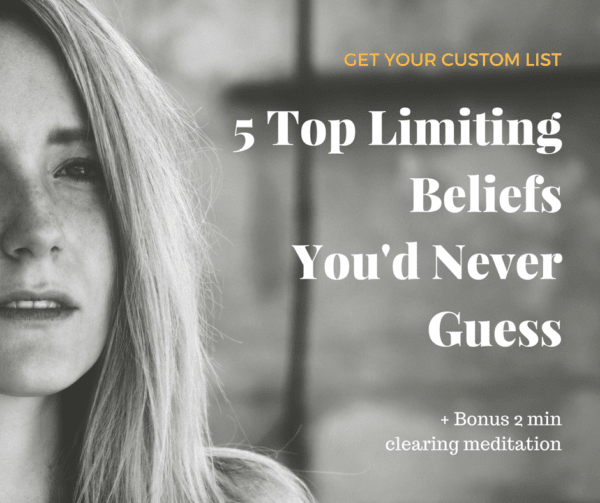 I’d like to challenge you to an exercise that will open the gate of your free flowing mind. During this creative process, you will be able to tap into what brings a smile to your face. To what makes you love life, enjoy yourself and others, and just be grateful wherever you are at the moment. Why is this important you might wonder? By focusing on what makes you happy, you can attract more of it and move from the place you are to the place you want to be. You will be able to shift mood more quickly from negative to positive. You will be able to feel more grateful for what you have, putting you in receiving mode for more. This process will also leave you with an important tool. You will have your unique happiness map, which you can review every time you need a ‘pick me up’. You’ll know what you can do to bring more happiness in your life at that moment. There are 2 ways you can do this exercise. You can either start with a blank piece of paper or use the attached file to help you get started. You will also need a timer and if you want to increase the creativity process you can use color pencils. Set your timer to 1 minute. From your middle ‘happiness’ point make 7 to 10 branches with things that make you happy. Write what pops up in your mind, you don’t need to concentrate, go with the flow. Write the keyword or draw the meaning of the keyword. This is your unique map. Don’t try to write general things you think would make you happy. Write what actually makes you happy, just write what comes to your mind. Write only keywords. Your mind knows the association and relation to those words. Immerse yourself in the process, don’t worry about the outcome, get wild and creative. If you experience a creative block, try writing with your opposite hand. You will then be able to access the other side of your brain. After your 1 minute, you should have your 7 to 10 keywords. Reset your timer to 1 minute. Now, from each keyword you wrote, make another branch with an associated keyword that comes to mind. If more than one keyword for each main idea comes up, just keep adding branches. What you will be left with is a mind map, looking almost like a spider web of ideas. You can make your mind map as big as you wish. 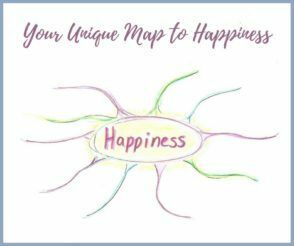 The bigger your mind map, the more choice you will have to help you access a happiness state on a regular basis. How did the process make you feel? Are you surprised by what came up? Do you think being happy is more easily accessible than you thought?